Republican gubernatorial candidate Ron Corbett says he’s “not sure why” a fellow Republican is challenging his campaign’s legitimacy. Corbett has been campaigning around the state for months as a GOP challenger to Kim Reynolds. 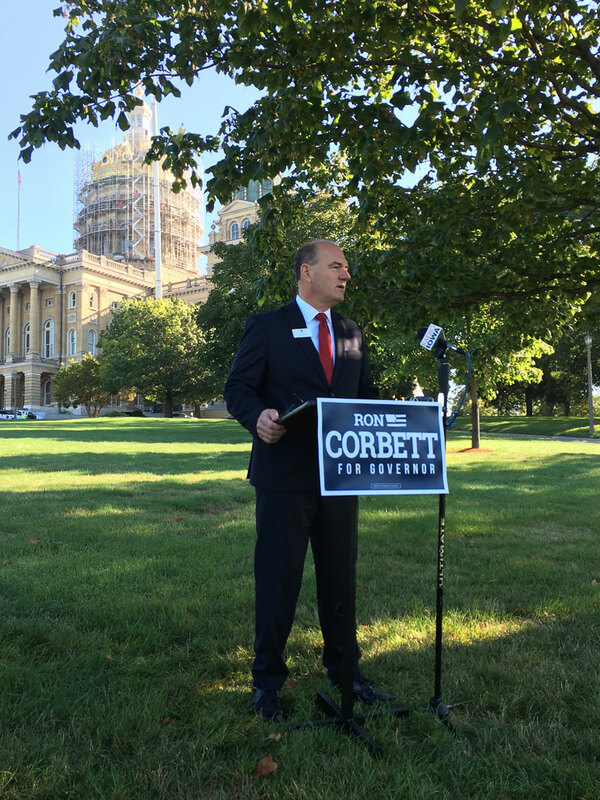 Last week, former Iowa Republican Party political director Craig Robinson challenged Corbett’s nominating petitions, arguing there are too many duplicate signatures and Corbett doesn’t have the number of petition signatures he needs to qualify for the primary ballot. Corbett uses the word “underhanded” to describe the challenge of his nominating petitions. “For the governor to try to skate buy and not have debates and try to get me knocked off the ballot, I mean this doesn’t seem like she’s following in the tradition that has been set for elected officials and the governor in this state,” Corbett says. Robinson — the former Iowa Republican Party official — says the Corbett campaign’s effort to collect signatures on nominating petitions was “incredibly pathetic” as Corbett barely submitted the minimum number of signatures required — and Robinson says there are more than 100 duplicate signatures. Iowa’s secretary of state and attorney general will convene with the state auditor this afternoon to decide whether Corbett qualifies for the June Primary ballot. Similar challenges have been filed against seven other candidates, including Congressmen Steve King and David Young as well as a Republican who hopes to run against Democratic Congressman Dave Loebsack in November.